Children across the world have been scouring illustrations to find Wally since the 1980s. Now, children in Shanghai have the chance to discover the cartoon phenomenon, as a new Where's Wally? exhibition has opened in the Shanghai World Financial Center in Lujiazui on July 28. 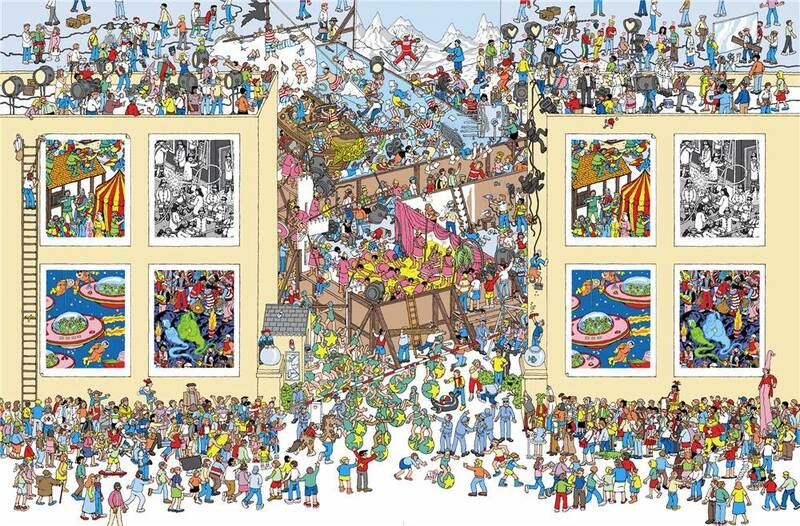 Created by the British illustrator Martin Handford, Where's Wally? is a hugely successful series of children's books that has been published in dozens of countries around the world. Each spread of the Where's Wally? books features a huge illustration of a crowded scene, and hidden somewhere in the background is Wally in his red-and-white striped pullover and bobble hat. Children have been challenged to find Wally hidden in places across the world and through history, from ancient Rome to Victorian London. Now, the famous cartoon caperer has finally found his way to 21st-century Shanghai, the first stop in the Where's Wally global touring exhibition. The exhibition, located mainly on the 94th floor of SWFC, consists of six sections themed on the pyramids of ancient Egypt, the Roman Coliseum, the Crusades, pirates, and the Gold Rush era in the US. The 97th floor of the tower also displays 11 copies of original pictures drawn by Martin Handford, while on the 100th floor stand statues of Wally and his friends, allowing visitors to take photos. The exhibition will run until Oct 31. *You will receive the ticketing code within 24 hours via email and sms. Tickets can be used for any day during 7.28-10.31.